Your local heating & plumbing specialists based in Wirral. 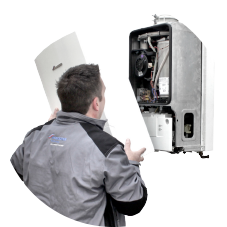 Wirral Gas has over 30 years' experience in heating service, installation and repair. We provide you with the friendly and efficient customer service you deserve. This includes our pledge of personal accountability and the confidence that the price tag will be competitive and supported by the best local tradesmen. We cover a wide range of domestic installations and repair and all our engineers are Gas Safe registered. We understand your time is valuable so we offer appointment times to suit you. We are based in Wallasey and cover all areas of the Wirral. Please feel free to call us and ask about our services. We look forward to hearing from you. Facebook is an excellent place to see what our customers post about our services. There are also plenty of pictures to see of our work and for you to see the neatness and efficient way that we install our customer's heating systems.